Not interested in Yonkers ? Please choose a different community. 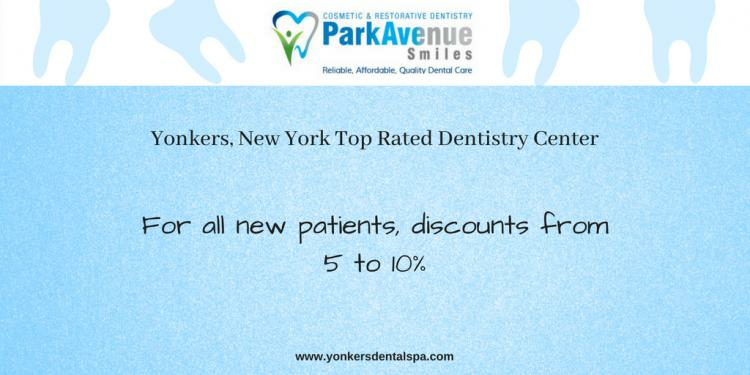 Park Avenue Smiles of Yonkers, Westchester County, is a cosmetic and family dental clinic, able to treat most dental health disorders. Here you’ll find highly skilled and experienced dental staff to handle all your oral health needs, using only the latest equipment and techniques. We even have Saturday dentists who provide emergency services, restorative care, and cosmetic dentistry. Currently offering a limited time event, 5-10% discount for all new patients. We are a cosmetic and family dentist in Yonkers, Westchester County who are able to treat most dental health disorders. Whether you need orthodontics, periodontics or cosmetic dentistry, our board-certified dentists at Park Avenue Smiles or Yonkers will make you feel confident and comfortable while they treat your oral health and preserve your beautiful smile. We are a Yonkers family dentist you can trust with your children’s teeth, as well as your own.